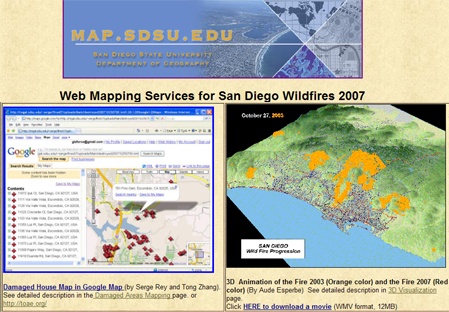 Many kinds of information about San Diego 2007 wildfires can be found in this website, including damaged areas mapping, 3D visualization and animation maps, and references of how gis can help us fight wildfires. 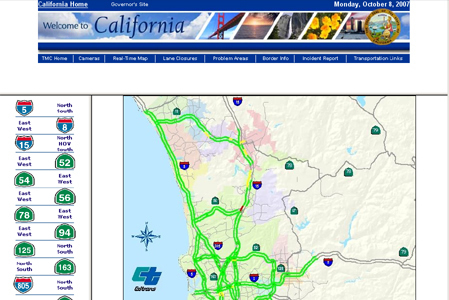 Online interactive map viewer of San Diego Area real time traffic. Current freeway speed report. Automatic updated. 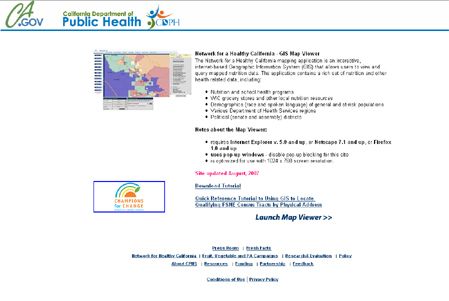 The Network for a Healthy California mapping application is an interactive, internet-based Geographic Information System (GIS) that allows users to view and query mapped nutrition data. 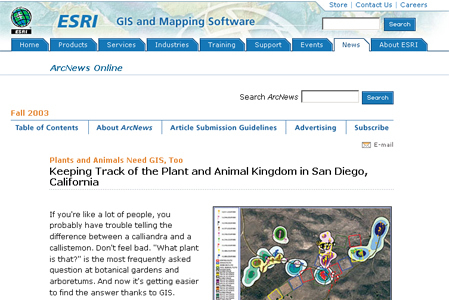 Keeping Track of the Plant and Animal Kingdom in San Diego, California. 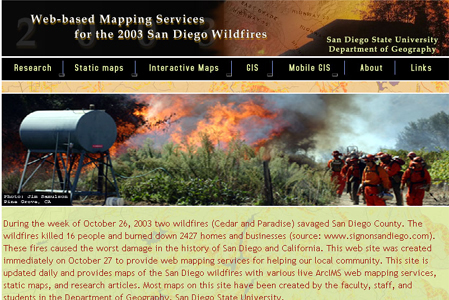 Web-based mapping services utilize Mobile GIS with GPS for the 2003 San Diego Wildfires. 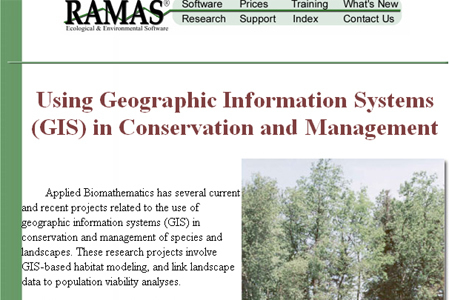 Some projects related to the use of GIS in conservation and management of species and landscapes. 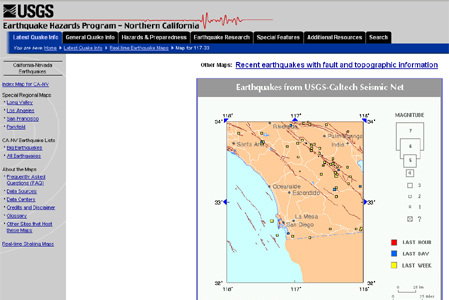 An interactive map of recent earthquakes in California-Nevada.